Oh my. I wrote recently about the power of maps, and how they can help adoptees and others fill in missing pieces of their pasts. (See Mapping Adoption Journeys: The Cartography of Healing.) Now here is an adoptee’s journey, via Google Earth. This story could resonate especially with anyone adopted at an older age, including those who might have been abandoned or even trafficked, from places around the globe. Astonishing potential here to find one’s way home, however one defines that. A little boy in 1986 fell asleep on a train in Berhanpur, India, woke up 1500 kilometers away in Calcutta, and ended up being adopted to Australia. His adoptive mom always kept a map of India on his wall while he was growing up. 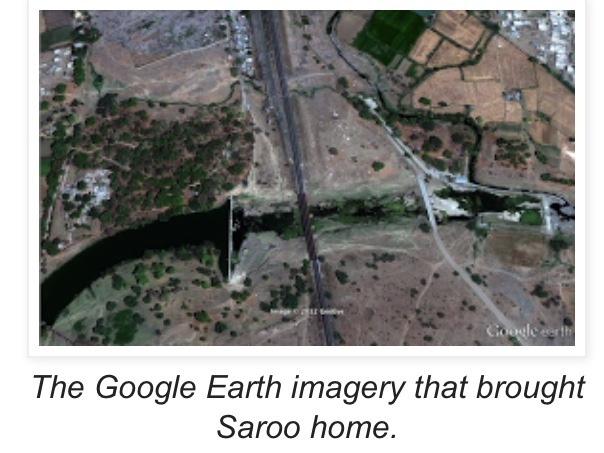 Now a 32-year-old adult, Saroo Munshi Khan (adopted name Brierley) used his memories as a 5-year-old plus Google Earth imagery–and found his way back to his hometown of Khandwa, India. It took hours and hours of staring at the computer screen, going through the “photographs” stored in his brain, seeing if any clicked with what appeared on Google Earth. In 2012, he traveled back to India, and rather quickly reunited with his mother and siblings. I have chills. It’s an astonishing connection of a child’s memories, technology, and hope. Here is Saroo’s story, which includes a great video of Saroo explaining his journey: A long way home with help from Google Earth. 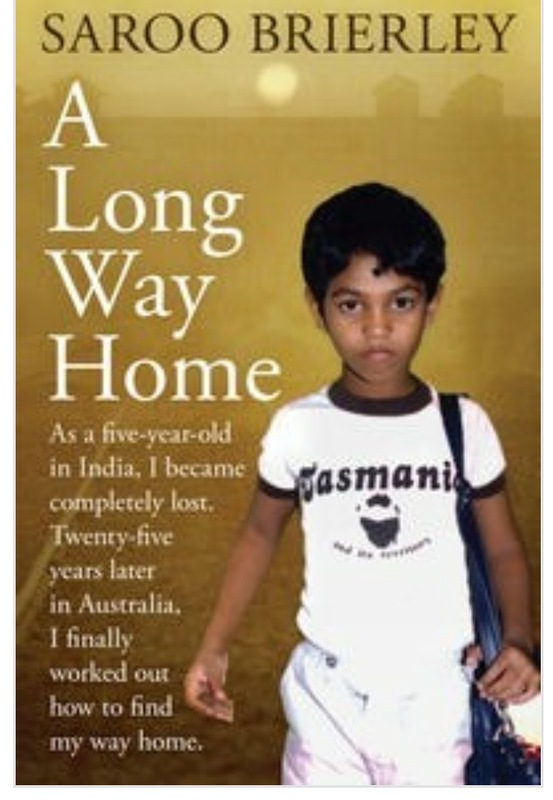 Saroo has also written a book, A Long Way Home. You can connect with him here on Facebook. The world of adoption is changing in revolutionary ways. Adoptees and their first families can reconnect by unexpected methods. The poet/songwriter/singer Kate Wolf wrote that “sometimes the strongest love hangs by such a slender thread.” Yet, look at how tenacious that slender thread can be. This entry was posted in adoptees, Adoption from India, Australia adoptive family, birth/first family, Google Earth, International adoption, Saroo Khan Brierley, search/reunion and tagged A Long Way Home, hope and determination, love and loss, search/reunion, technology and adoption by Light Of Day Stories. Bookmark the permalink. I wonder if he ever asked his adopted family to take him back, and what they said. It sounds like once he found the place, finding the people was easy- did they refuse him the opportunity, or never offer it?